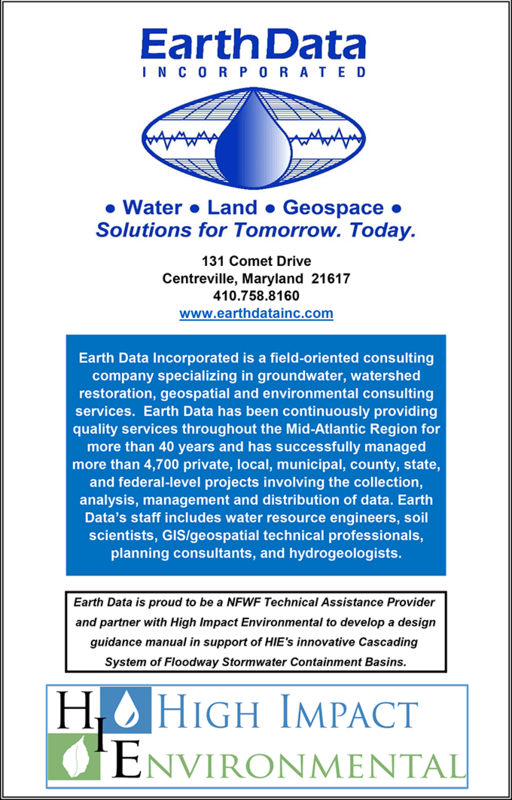 High Impact Environmental Inc. (HIE) is a 501 (c)(3) not-for-profit corporation, located in Chestertown, Queen Anne’s County, Maryland. HIE’s mission is to develop programs that implement, promote and educate the public about cost-feasible, storm water conservation and management practices in Queen Anne’s and surrounding counties. 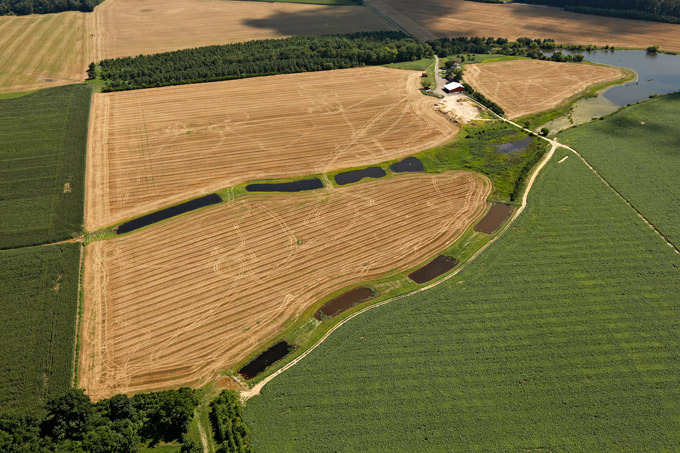 The founder and President of HIE, Samuel Owings, in 2010 and 2011 implemented a “Cascading System” of Floodway Stormwater Containment Basin on the lands of Hambleton Creek Farms a 400 acre grain farm located in the upper Hambleton Creek sub water shed to the Chester River. Owings’s goal is to reduce or potentially eliminate stormwater discharge from a 600 acre drainage area from entering Hambleton Creek. This system has proven to the industry that cost effective methods to prevent sediments, nutrients and other pollutants from entering state waters is possible. Tackling water pollution on Hambleton Creek from Chesapeake Bay Program on Vimeo. While efforts to improve Chesapeake Bay water quality have made some strides over the last few decades, recent efforts have not shown sufficient progress in restoring the nation’s largest estuary. In November 2009, President Obama issued Executive Order 13508, Draft Strategy for Protecting and Restoring the Chesapeake Bay, which encourages the development of recommendations for improving water quality and storm water management. 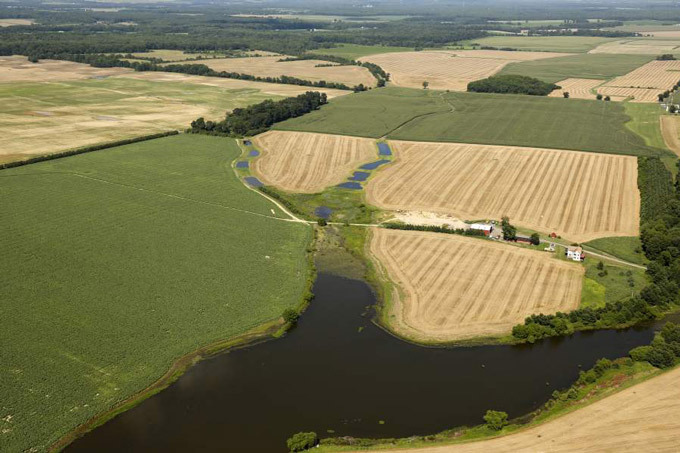 As a direct response to this call for action, HIE’s strategy and practices will provide farmers, landowners and municipalities the tools, materials and expertise to prevent as much storm water and pollutants as possible from entering the Chesapeake Bay and its tributaries. HIE intends to change the focus from moving storm water off the land via water conveyance systems, storm water piping and ditching, to capturing, storing and then filtering storm water with vegetation as it flows into ground or evaporates. HIE promotes the use of a “Cascading System” of Floodway Stormwater Containment Basins, which can be constructed using simple, cost-effective and easy to use materials such as sand, filter cloth and large riprap stones. HIE staff will network with the agricultural industry, property owners, communities and municipalities to encourage implementation of these practices so they can handle storm water runoff in the most efficient and cost-effective manner. 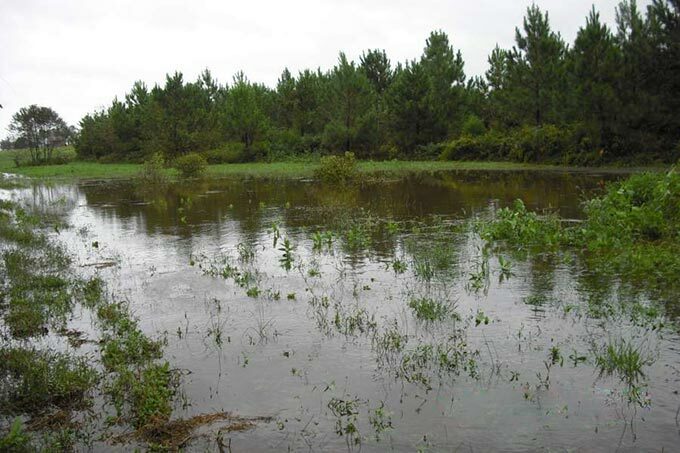 HIE also plans to encourage the public to use captured storm water for recreation, wildlife habitat, irrigation and ground water replenishment rather than releasing it to prevent nutrients and other pollutants from entering tidal waters. It is understood that human actions over time have damaged the earth’s ecosystems through development and rapid growth. HIE intends to play a major role in educating the public about environmental solutions, promoting conservation policies and implementing practical solutions. HIE’s practices are aimed at halting and reversing the trends that threaten to destroy marine habitats, tidal waters, bays, tributaries and oceans. HIE realizes how important it is to improve water quality, restore habitat for marine species, preserve the biological integrity of marine ecosystems and protect farmers so they can function in the most efficient and cost-effective manner. 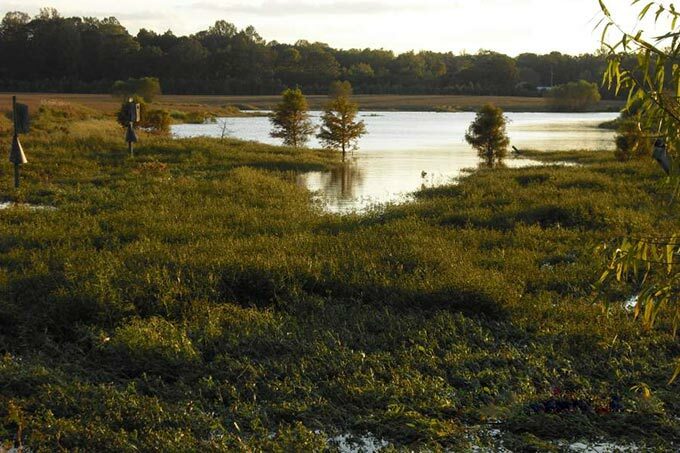 HIE plans to educate farmers, landowners, municipalities, policymakers and the media about cost-effective practices of controlling storm water as a viable means of stopping tidal water pollution in the Chesapeake Bay, the largest estuary in the United States. When the efforts of HIE demonstrate positive results, its practices could be a model for other endangered bays and rivers. HIE’s plan is to focus its efforts first on the Chester River watershed, a drainage area that covers 64,299 square miles in the District of Columbia and parts of six states, New York, Pennsylvania, Delaware, Maryland, Virginia and West Virginia. HIE has recently completed Phase I of a “Model Project” where they constructed 4 “Cascading Systems of Containment Basins” designed to contain all stormwater from a 77 acre drainage area for up to a 50 year storm event. And is seeking grant funding to expand the Project to control all stormwater from a 567 acre drainage area of the upper Hambleton Creek watershed and then expand HIE’s programs to other landowners interested in participating in these programs. 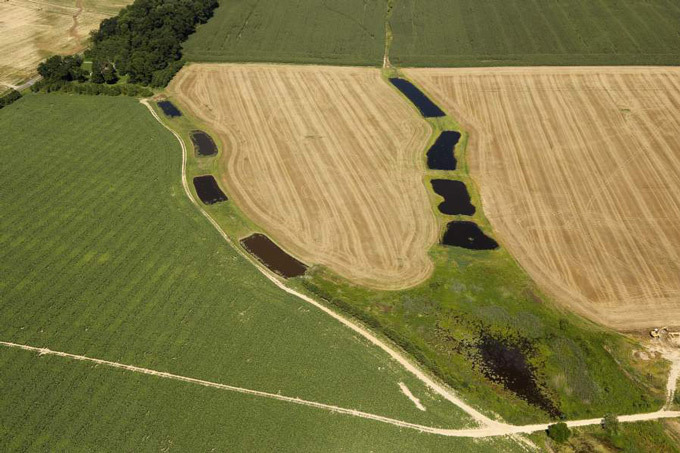 Phase I contains nearly 400,000 gallons of stormwater at a cost of about $600 per acre these practices could be implemented on the entire Bay watershed, where feasible, which is 25% agricultural, consisting of 87,000 farms or 8.5 million acres. To put this in perspective, if a farmer was to use 6 years of the maximum cover crop payment of $100 per acre, these payments would cover the cost of implementing these practices on their farm. The total cost would be $5.1 billion to contain all the stormwater in the Chesapeake Bay watershed. Since 1984, $6 billion has been spent on the Chesapeake Bay clean up effort.